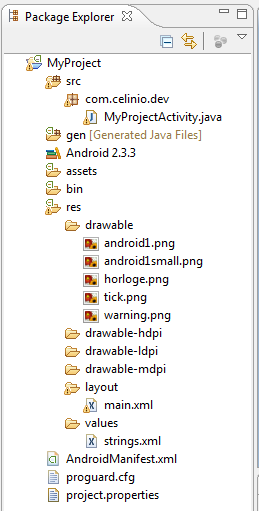 There are 21 posts filed in Java (this is page 1 of 1). It is possible to add UML diagrams to the JavaDoc generated during the build phase. The first thing to do is to install Graphviz which is an open source graph visualization software. 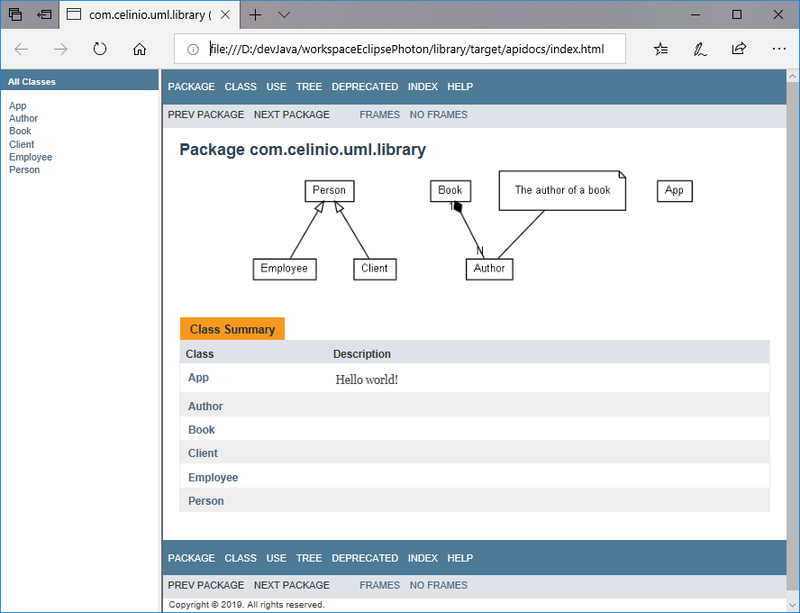 After installation, add the bin folder (D:\Graphviz\bin for instance) to the PATH environment variable. Here i chose to add the maven-javadoc-plugin to the build maven phase. In the configuration of the plugin, i added the UmlGraphDoc doclet. Modularity and plug-ability features in Servlet 3.0 specification is also called web fragments. The JSR 315 (Java Servlet 3.0 specification) is already 9 years old. The final release dates back to december 10, 2009. 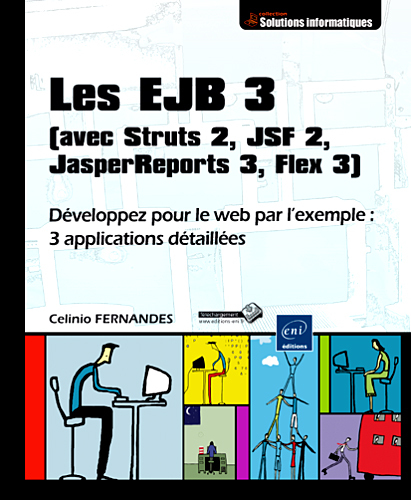 Web fragments are one of the main features of this JSR. A web fragment is an XML file named web-fragment.xml and located inside the META-INF folder of a jar library. Web fragments are XML files that will have part of the configurations of a web.xml file. Here is a short and quick demonstration of it. 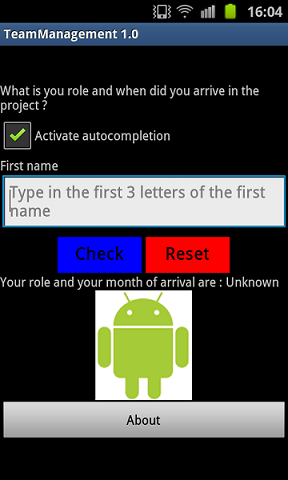 First, create a web app project with the help of the maven-archetype-webapp archetype. Java 8 has an interesting feature that I learnt recently. A variable can become “effectively final”. For instance, the following class would not compile in Java 1.7. “Cannot refer to the non-final local variable myVocabulary defined in an enclosing scope”. It would require to add the modifier FINAL to the myVocabulary variable. In Java 8, there is no need to make it final but make sure you do not change the value once assigned. How is the cyclomatic complexity of an algorithm calculated ? When checking the issues detected by Sonar, i noticed a few issues related to cyclomatic complexity. The Cyclomatic Complexity of this method “checkSomething” is 22 which is greater than 12 authorized. Question : how is the cyclomatic complexity of an algorithm calculated ? Cyclomatic complexity is the number of independent paths through the program. A program can be seen as a connected graph. An edge connects 2 nodes. It represents non-branching and branching links between nodes. Nodes are decisions points which may be conditional statements like if, if … else, switch, while, etc. This metric was developed by Thomas J. McCabe in 1976. 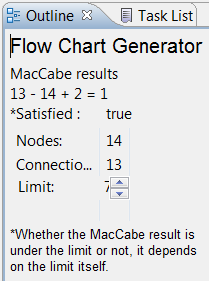 Well, after further investigation and according to this link (checkstyle tool), I have concluded that the McCabe formula is not really applied to calculate the cyclomatic complexity in a Java program. The complexity is equal to the number of decision points + 1 Decision points: if, while , do, for, ? :, catch , switch, case statements, and operators && and || in the body of target. Anyways, the result number of 22 makes sense. And the McCabe result would be 1 ! a few of the upcoming features of the JDK 8 have been available in C# for some time now. C# was inspired by Java and C++ and now it kind of feels like Java 8 is catching up with C# ! But it is a good thing when the languages influence each other. That is the case with C# and Java but that is also the case with Windows Forms / WPF + XAML and JavaFX 2 / GWT or ASP.NET MVC and Java MVC-based frameworks, etc. That is another good reason to be open to both worlds. I might work on it again later. To make it a bit nicer. Externalizing part of the configuration of a webapp in a .properties file that is located outside of that webapp (outside the WAR, the EAR …) is a frequent requirement and I initially thought that the PropertyPlaceholderConfigurer class, provided by the Spring framework and which is an implementation of the BeanFactoryPostProcessor interface, would help me to get the values of the properties defined in that external file. The properties are pulled into the application context definition file. It is a good solution as long as you do not need dynamic reloading of the properties, i.e. 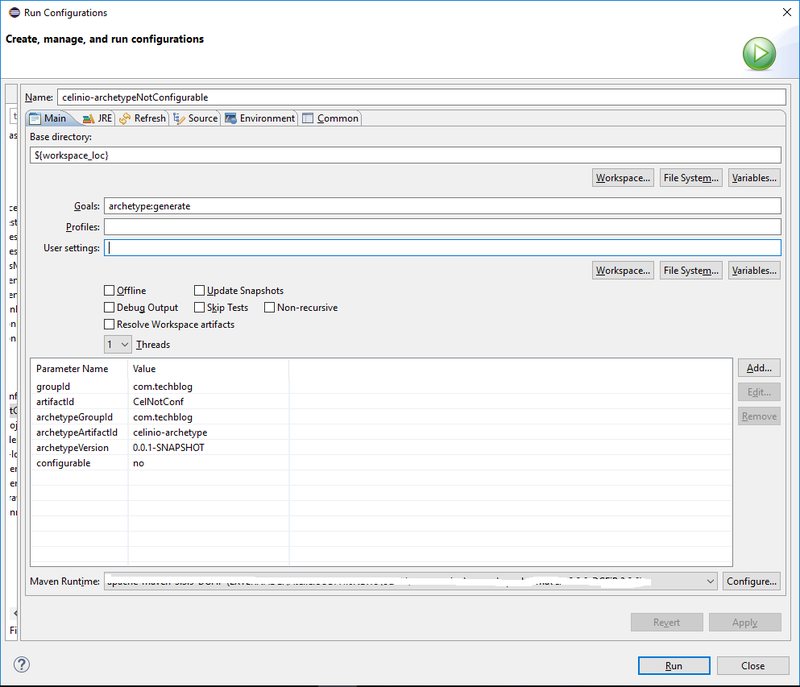 without the need for restarting the application whenever the properties values are changed. So I find out that in that case the Apache Commons Configuration is a good alternative because it supports dynamic reloading of the properties. Line 23 : the path is given as an environment variable. It works great. The only problem that I met was when I tested the reload interval (the delay period before the configuration file’s last modification date is checked again, to avoid permanent disc access on successive property lookups), it did not work : if i set the reload interval to 30 seconds for instance and if i modify the properties several times during that delay period, the new property values are still displayed. I would have expected to get the old values again, until the delay period expired. I am adding to the blogosphere of development-related blogs another post about the “Plugin execution not covered by lifecycle configuration” error. The M2E Plugin 1.0.0 is integrated into Eclipse Indigo (3.7). Apparently, M2E connectors, which are a bridge between Maven and Eclipse, require to provide a connector for every plugin that is used in the build. To avoid these errors, it is necessary to modify the pom.xml file so that M2E will not complain about it. This week I attended the very first and very well organized conference What’s Next ? in Paris and one of the speakers was Neil Gafter, co-author of the book “Java™ Puzzlers: Traps, Pitfalls, and Corner Cases” (2005). 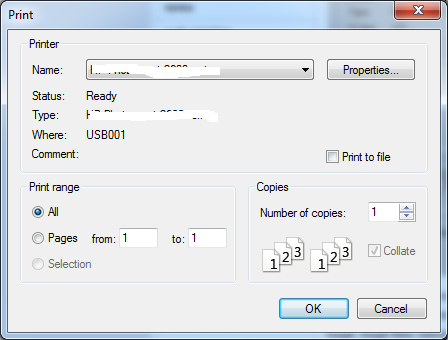 Question 1) What will the following program print ? In this video tutorial, I show how to create a Maven project under DOS. Then how to import it to Eclipse with m2Eclipse. The WSDL2java command generates JAX-WS compliant Java code for the services that are defined in the WSDL document. This is known as the Top-Down approach (contract first, based on an existing WSDL file). Today I took a first glance at Scala at the Paris JUG monthly meeting. Scala is a programming language which runs on the Java Virtual Machine. I have not compiled a single line of code in Scala yet but I saw enough code to get a decent idea of it. When you think Scala, think about the functional programming paradigme. A function can be a value. The first speaker, Sader Drobi, showed us a few examples of code to illustrate the advantages of passing a function as a parameter. A good free book about Object-oriented Programming in Java !